Inspirada is a new Master-planned Community in Nevada, incorporating the new urbanism concept. When fully developed, Inspirada will be in excess of 2,000 acres with 300 acres of parks and trails. National Homebuilders represented by Inspirada include: KB Home, Toll Brothers, The Focus Property Group, Woodside Homes, Kimball Hill Homes, Pardee Homes, Meritage Homes and Beazer Homes. 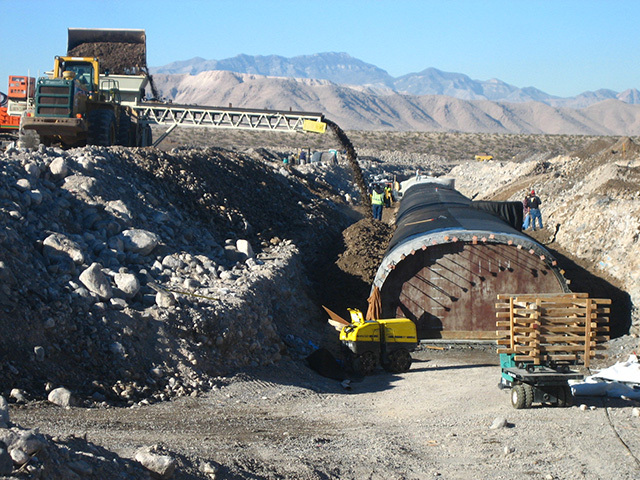 Inspirada required a flood control and drainage project large even by Clark County standards. 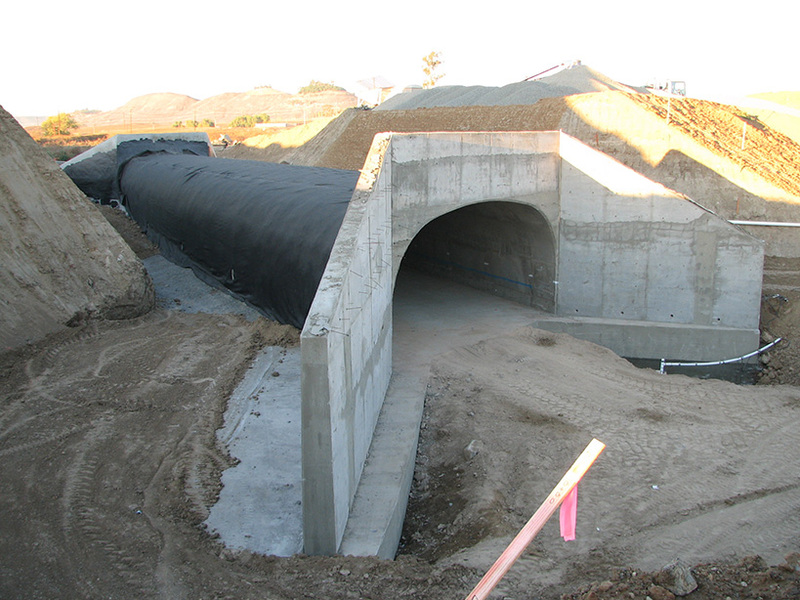 The project consists of Headworks, an outlet structure, miles of open rectangular channel and covered arch culverts. 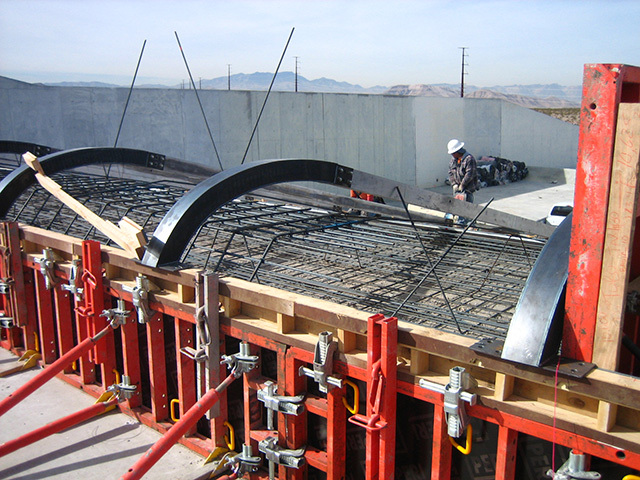 By incorporating some of the most advanced and sophisticated engineering in use today, Hydro-Arch’s structural engineer ES2’s redesign resulted in major savings on this project over its initial design. 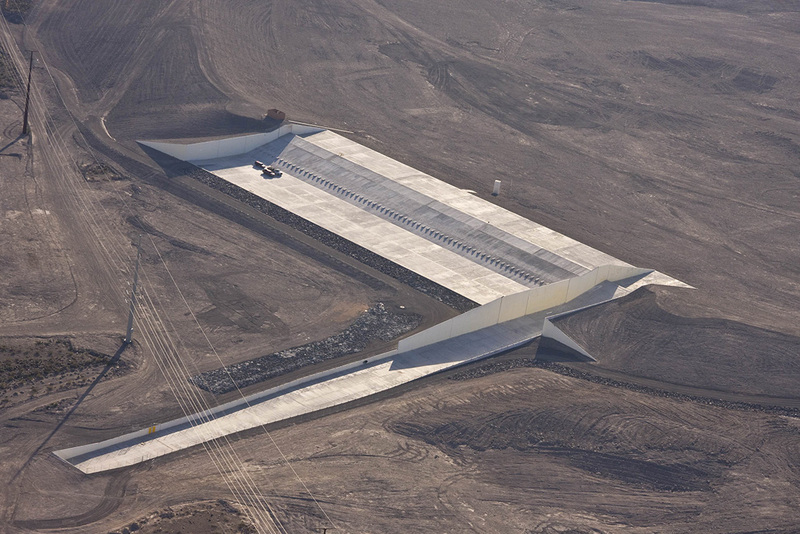 Using post-tension in the channel crossing saved a considerable amount of money. The use of finite element analysis and soil structure interaction theory resulted in additional major savings. 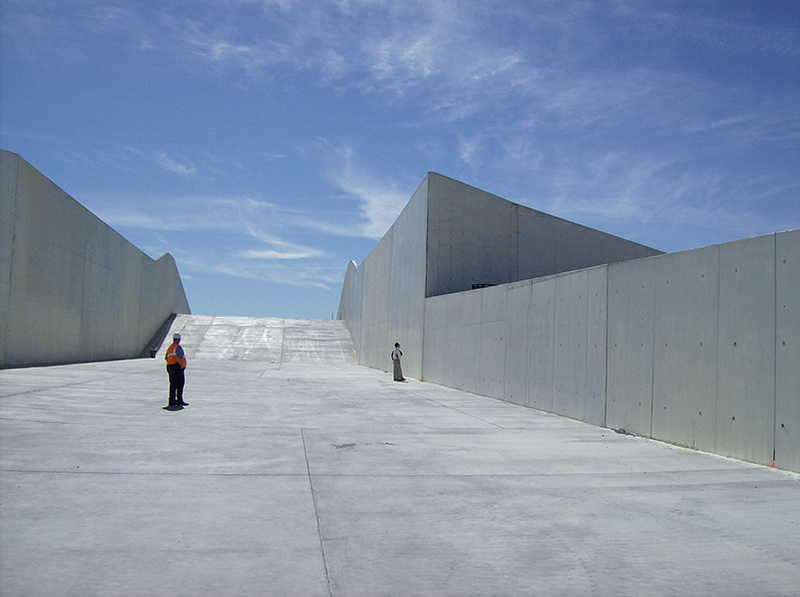 Project used over 75,000 cubic yards of concrete. 2,000 cubic yards were often placed in one day with the help of five boom pumps. 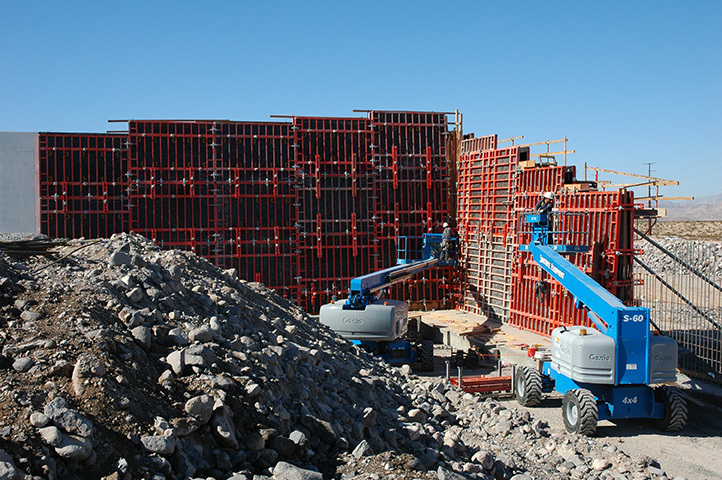 On a typical day 4,000 sf of channel wall form was stripped, reset and poured. This resulted in a channel production of 200 linear feet per day. 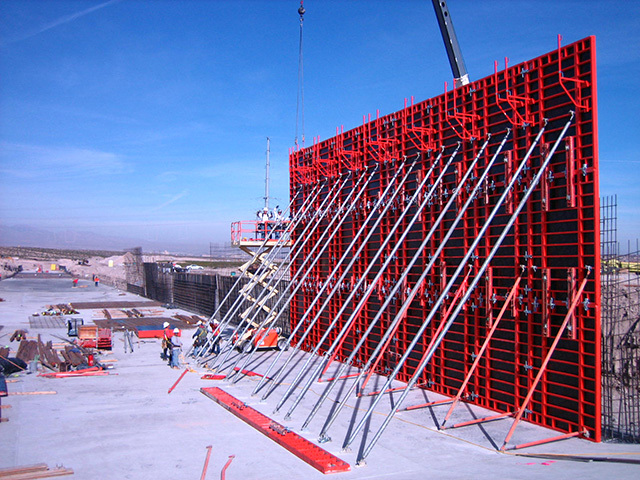 Because of an intensive safety program, no lost time accidents occurred on the job. 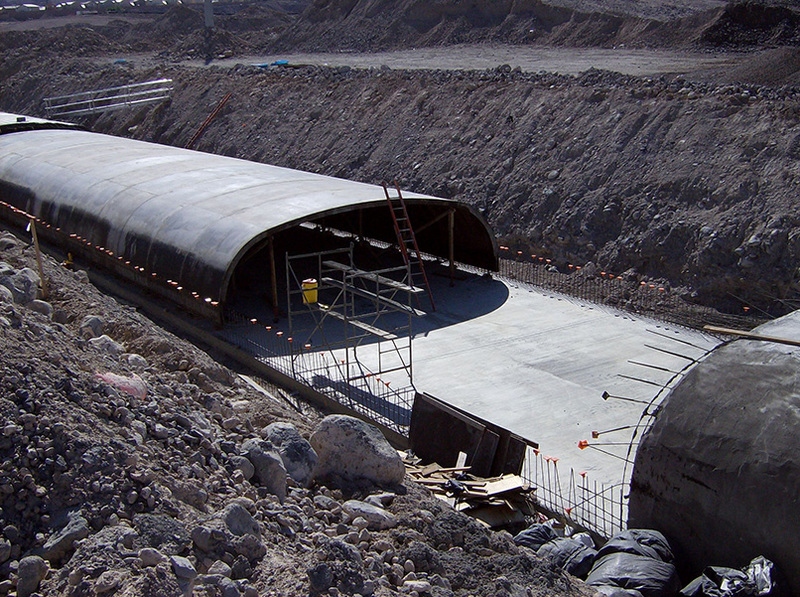 The buried arch culverts reclaimed 3 acres of land that will be used for streets, parks and parking.